A fast-growing trend that started on the West Coast will not reach this far east yet, at least not in Nags Head, where commissioners passed a ban Wednesday on electric scooters offered by ride-sharing companies similar to Uber and Lyft. Mayor Ben Cahoon raised questions about the business practices of companies that place fleets of the scooters in areas with no notice and make them available through smart-phone applications. Several cities have pushed back to demand payment of local business license fees as well as better assurances of liability protection and regulations. Since the companies are Internet-based, they have no local offices. Riders rent the scooters by locating and starting them through the app, which records the amount of time they use them. Rates are generally a flat fee of $1, plus a per-minute charge. Freelancers then round them up, recharge them at home and are paid by the company per scooter that they collect and redistribute. “The problem is that their business model now is to drop the scooters without any prior discussion into a community and force the community to use its own resources to figure out what the rules need to be and clean up the problem,” Cahoon said. Nags Head, he said, might welcome the scooters if the companies would consult with the town first. “But that’s not what they’re doing, and they’re not going to change that model, apparently, unless they’re forced,” he said. 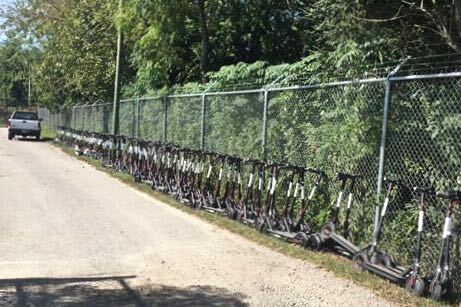 The Virginian-Pilot reported Wednesday that the city of Norfolk has impounded about 400 Bird scooters in the past month after they began appearing in the area. The city has tried unsuccessful to set up a meeting with Bird officials to work out a “regulatory framework,” according to the Pilot. Nags Head’s Planning Board, during a discussion last month, saw several drawbacks if a company decided to place scooters here. For one, they would not be allowed on the multi-use path under an existing ordinance prohibiting motorized vehicles. With top speeds of 15-20 mph, they could be a hazard on the beach road or bypass. Most of the scooter ride-sharing so far is in urban areas where it is marketed as a way to reduce pollution and traffic congestion. Bird, started by a former Lyft and Uber executive, was launched in the Los Angeles area last year. The company has placed scooters in Greensboro, where riders pay $1 to start and 15 cents a minute. Bird ride sharing is also available in Charlotte, Chapel Hill and Raleigh. Lime, which is a partner with Uber, has scooters in Greensboro, Charlotte and Durham. Bird’s website includes a link to “Become a Charger” and earn money to round them up. Santa Monica cited the company for failing to obtain a business license, among other things, according to The Los Angeles Times. A $300,000 settlement was reached and the company continues to operate there under a pilot program that includes annual fees per scooter. Mackenzie Long with Bird public relations said in August the company had no immediate plans to launch in new areas. I have mixed feelings about this. I can imagine these scooters turning into a nuisance much like the liquorcycles that cropped up a few years ago, until some kind of legislation came about that quelled the use of those. 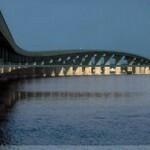 However, the Town of Nags Head is once again trying to stick its fingers in the pie. Just like the time they tried to find a way to “license”, or “permit” a guy driving a billboard truck on a State highway. Next, they will try to find a way to tax, or permit the planes that fly overhead. I wouldn’t be shocked if they’ve already tried that. This an instance that I agree with the State of Nags Head and its’ “president” Cahoon. The saying of do it now and ask forgiveness later (or however it is said but you get my drift) is and has always been a bully’s way of doing things regardless of the outcome or accepted norm. If Bird wants to provide this service they should sit down with the leaders(?) of Nags Head or fly away ! Are just Bird scooters banned or all electric scooters? How will police check to see if it’s a personal scooter or a “ride share” scooter? Random scooter stops? Going to stop teens on the street and check the scooter VIN? Sometimes the cure is worse than the poison. Look at what’s happening in Britain with the banning of knives, and google “assault scooter” for a laugh. Let capitalism do its thing. If they’re a problem, the town could impound them, scrap them, melt them, sell them…they’re scooters, tear out the electronics and give them to Boys and Girls Clubs. Good. This will save lives, even though it will be those of the people stupid enough to ride them. If an adult wants to look foolish, OK. Just don’t fall down in front of my car or someone else’s.